As Nina Totenberg pointed out in her report on the Supreme Court’s recent decision in Washington State Department of Licensing v. Cougar Den, Inc., Trump-appointee Neil Gorsuch joined with the Court’s more liberal members in a significant defense of the Yakama tribe’s rights under its 1855 Treaty. Those treaties are discussed in the current edition of Native America. Justice Gorsuch wrote a concurring opinion with Justice Ginsberg that tells us much about where he stands on treaty rights. This is good news for those who believe treaties matter. After all, the United States drew up this contract, and we normally construe any ambiguities against the drafter who enjoys the power of the pen. Nor is there any question that the government employed that power to its advantage in this case. During the negotiations, ‘English words were translated into the Chinook jargon…although that was not the primary language’ of the Tribe……After the parties reached agreement, the U. S. negotiators wrote the treaty in English–a language that the Yakamas couldn’t read or write. And like many such treaties, this one was by all accounts more nearly imposed on the Tribe than a product of its free choice. None of this can come as much of a surprise. As the State reads the treaty, it promises tribal members only the right to venture out of their reservation and use the public highways like everyone else. But the records shows that the consideration the Yakamas supplied was worth far more than the an abject promise they would not be made prisoners on their reservation. In fact, the millions of acres the Tribe ceded were a prize the United States desperately wanted. . . Settlers were flooding into the Pacific Northwest and building homesteads without any assurance of lawful title. . . .The Yakamas knew all this and could see the writing on the wall. One way or another, their land would be taken. If they mangaed to extract from the negotiations the simple right to take their goods freely to and from market on the public highways, it was a price the United States was more than willing to pay. By any fair measure, it was a bargain-basement deal. The State of Washington includes millions of acres that the Yakamas ceded to the United States under significant pressure. In return, the government supplied a handful of modest promises. The State is now dissatisfied with the consequences of one of those promise. It is a new day, and now it wants more. But today, and to its credit, the Court holds the parties to the terms of their deal. It is the least we can do. None of this responds to Justice Gorsuch’s argument, of course. 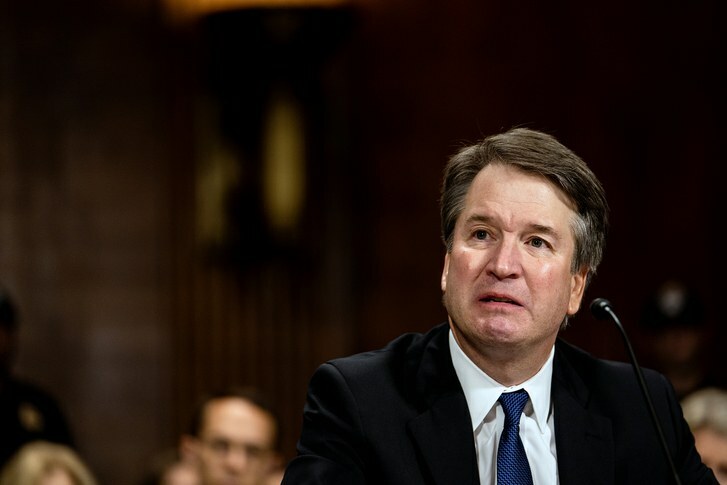 Kavanaugh’s opinion is deeply distressing, because he threatens to toss from the Court’s consideration tribal understandings of treaties. Dollars and cents. The effects of federal treaties on state government: for Kavanaugh that is the key issue, and his belief that states must play a preeminent role in Indian affairs is a grave threat to the sovereignty of native nations.